It’s hard to come up with words to describe this one. Looking at a photograph like this, and being able to appreciate the stunning beauty, and take in the splendor, is one thing. Being in the position to actually take this picture, that’s something else entirely. That just seems so unreal that it’s hard to wrap your head around. This really doesn’t look real. It looks like some sort of framing staged for a science fiction movie. That’s the coolest part about the whole picture. While it has the appearance of something entirely made up, it is, in fact, entirely real. Kevin Ford took the picture, which was then tweeted out by Canadian astronaut Commander Chris Hadfield, a mission specialist currently living aboard the International Space Station. That’s right, he tweeted from space. Somehow that makes all of our tweeting about what we ate, how hungover we are, and cute things our dogs are doing, seem even more insignificant. 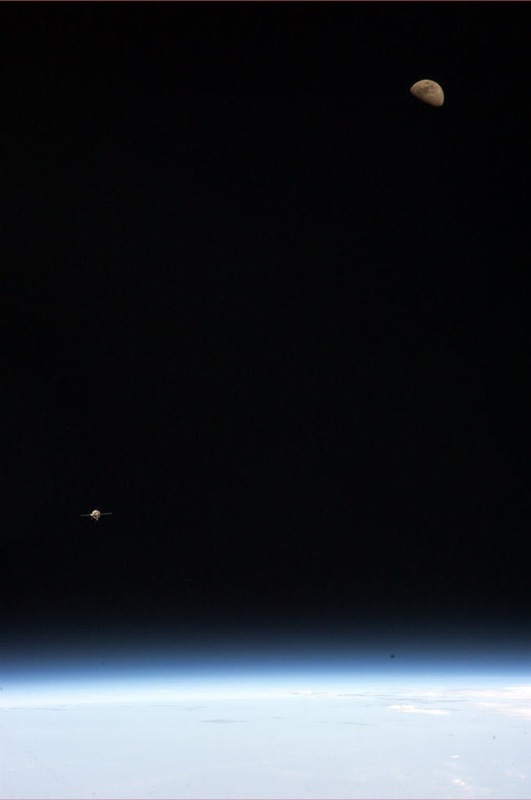 The Russian Soyuz TMA-07M spacecraft blasted off into space the week before Christmas, and Ford snapped the pic as the craft approached the ISS. Hadfield is part of the 35th mission to the station, replacing the 34th, of which Ford is a part. Their mission will involve routine maintenance, space walks, and dealing with the arrival of two cargo ships bearing supplies. Not a bad way to spend the New Year.